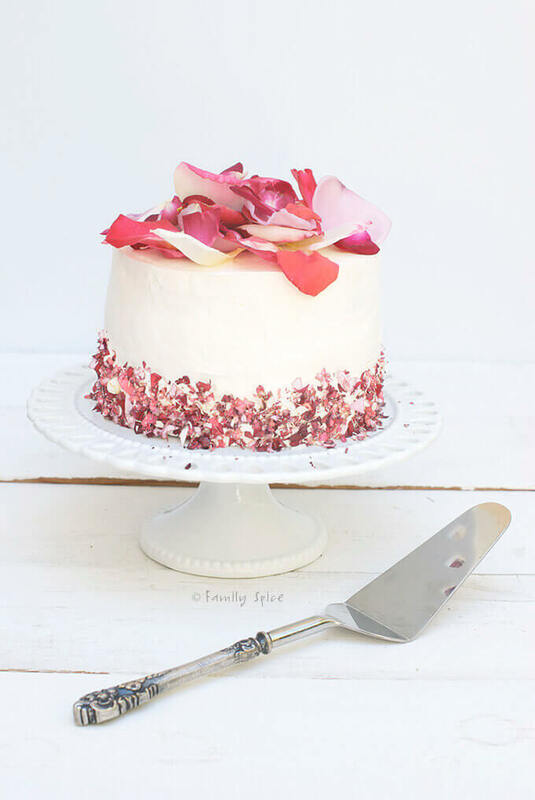 This White Rose Cake is baked with aromatic rose water and full of very edible pesticide-free rose petals inside and out. I have often shared with you how I could live forever in a garden filled with flowers. Despite my allergies towards these often breath-taking beauties, I absolutely adore flowers. When I got married, my bouquet was simple: an elegant bunch of purple calle lilies, my favorite bud. Since then, I’ve added hydrangeas, camelias and my latest, peonies to my list of favorites. Of course, I also cherish orchids, dahlias, hyacinths, tulips and the ranunculus. Quite honestly, I can’t choose which one is my favorite anymore. When I am out and about with family (with camera in tow), you find me snapping away not only at my children, but also at the blooms that I find along the way. I don’t know what I’m going to do with the thousands of flower pictures I have amassed in my collection. I’ve shared some with you in the past. Perhaps I will start posting random pictures on blog? Why all this talk about flowers? Well, for this month’s DailyBuzz Moms 9×9, we were asked how flowers inspired us. 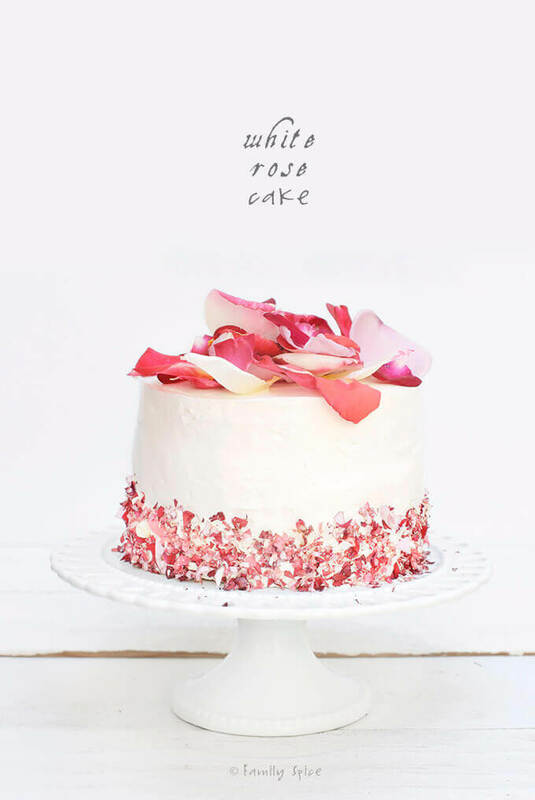 And with this being a food blog, I thought I’d share a recipe I’ve been working on: A White Rose Cake. Did you know that many flowers are edible? I won’t list them all, but one very common flower that is edible is the rose. The main factor to consider once you know that a flower is edible, you need to make sure that it is organic with no pesticides used on it. I had found dried roses in my middle-eastern market, as well as a Vietnamese market. But the dried flowers have a different texture that didn’t soften, even when baked in the cake. So I chose to use fresh roses instead. 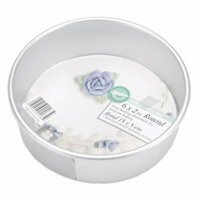 I found edible flowers in one of my big-chain grocery stores, in those plastic boxes where they sell fresh herbs, but I wanted roses. To find these roses, organic pesticide-free roses, I hit closer to home: my neighbor’s yard! My neighbor was gracious enough to let me raid her garden and snip away at the blooms that caught my fancy. 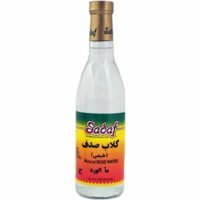 Persians love to use rose water in our desserts. 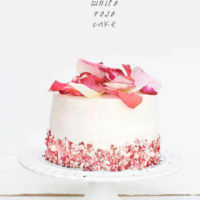 So this white cake uses both rose petals and rose water, baked in the cake itself and also in the white fluffy frosting. The cake is an experiment I have been working on, and for this post, I baked it using small 6×2-inch round pans, making a cute 3-layer cake. 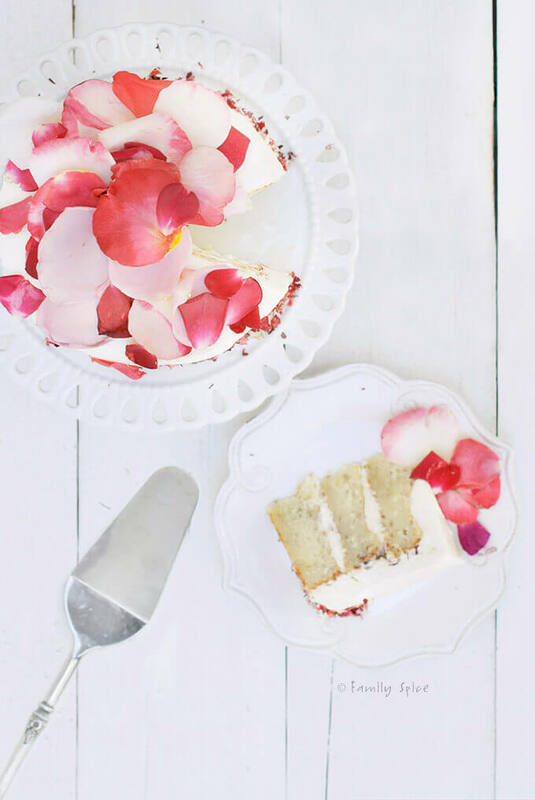 The texture of the cake is moist, floral and dense, and the frosting is lightly sweetened using a combination of cream cheese and whipped cream. This is the third time I have made this cake, where the first two were in a bundt pan. All of my guests loved the dense texture of the cake, because it was so moist and full of flavor. But, I think I will continue to tweak the recipe, as I am a perfectionist. 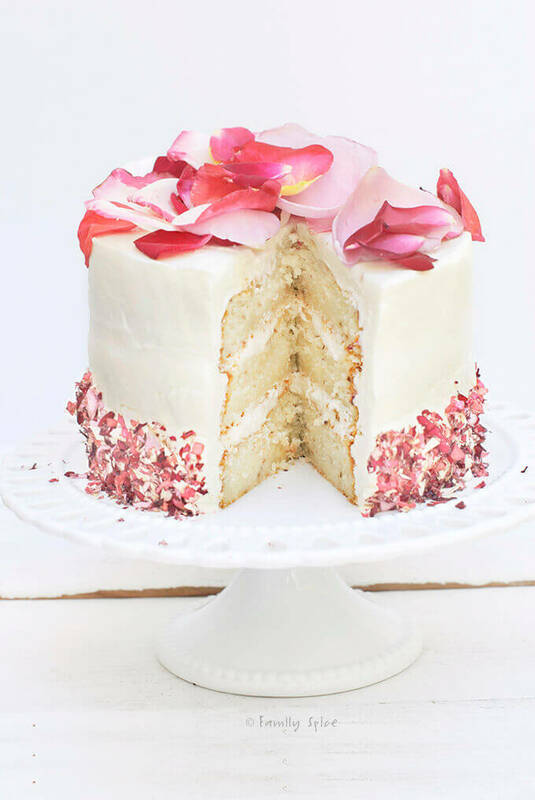 Remember, you can choose to eat, or not eat, the rose petals on the cake. I am happy to report, that everyone who had consumed the cake with the petals are still smiling and standing tall! Have you ever added flowers to your meal? What did you think? Coat 3 6x2-inch round cake pans with non-stick spray and line the bottom of each pan with parchment paper. In a medium-sized bowl, whisk together flour, baking powder and salt. In a small bowl, lightly whisk together egg whites. In a large mixing bowl, using a hand held mixer, whip butter and 1 cup sugar until white and smooth. Add yogurt, milk, 1 TBS rosewater and vanilla to the butter mixture and whisk until smooth. In batches, alternate mixing in flour mixture and egg whites into butter mixture until combined. Do not over mix. Gently mix in 1/4 cup rose petals. Divide batter evenly into the 3 prepared cake pans and bake until golden, about 35-40 minutes. Place the cakes on a cooling rack and let it cool completely before frosting it, about 1-hour. To prepare the frosting, in a medium-sized bowl whisk cream cheese, 3/4 cup sugar and 1 TBS rosewater until smooth. In a separate bowl, using a clean mixer, whisk heavy cream until stiff peaks are formed, about 5 minutes. Using a rubber spatula, gently fold in 1/4 of the whipped cream into the cream cheese mixture. Place one cake layer onto your serving platter. 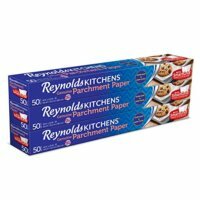 Place along the edges of the cake strips of parchment paper. This will keep the plate clean while frosting the cake. Place a large scoop of frosting and evenly spread over the top of the cake. Gently place the second layer of cake over the frosting, and frost the top of the second layer of cake. Add the final layer of cake and frost the top and remaining sides of the cake until evenly coated. 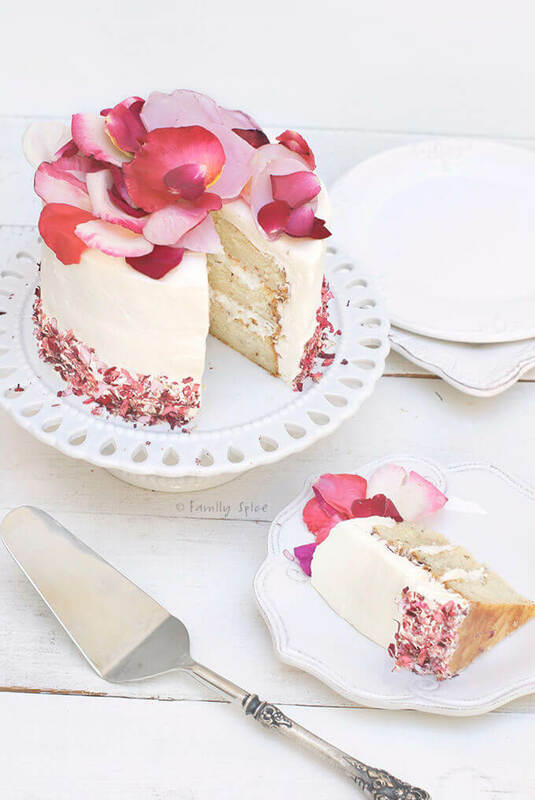 Decorate the cake with 1 cup rose petals. Slowly remove the parchment paper strips around the bottom layer of the cake. Chill cake in the refrigerator for at least 2 hours before serving. 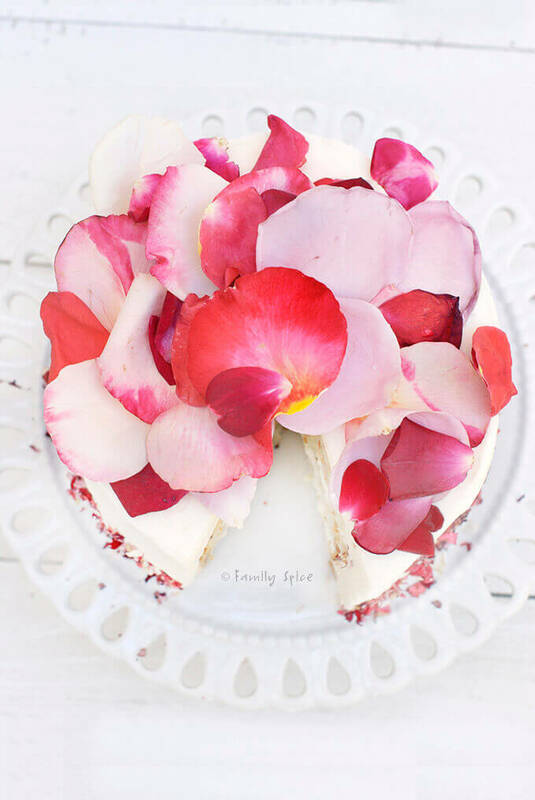 Serving Suggestions: Rose petals are edible. Please make sure that the roses you choose are organic and pesticide-free. You can also add slices of fresh strawberries between the layers of cake. Cooking Tips: If using regular yogurt, omit the milk and use 1/2 cup of yogurt.